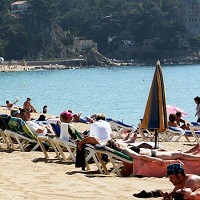 New figures released by the Spanish national tourist board have shown a 9.2% year-on-year increase in the number of British holidaymakers arriving in the country to nearly 11 million during the January-September period of 2011. Over 6.7 million UK tourists, who are likely to have taken out a comprehensive travel insurance cover, visited Spain during the June-September period. The figure was over 500,000 higher than the corresponding period in the previous year. In September, 11.4% more Britons arrived in Spain, compared with the year-ago period. The January-September period saw an increasing number of British tourists heading to the popular islands in Spain. The Balearics captured 24.3% of the tourist market, while the Canary Islands had 23.7%. The most popular attraction for tourists on the mainland was Andalucia, famous for its resorts of Seville, Malaga and Granada.